Mewtwo, the elite Legendary Psychic-type warrior of Gen 1 is leaving Ex-Raids and joining Legendary Raids for the first time, from September 20 to October 23, 2018. Mewtwo was the original Ex Raid. While it sounded like Pokémon Go meant for their to be others, from Luigia to... who knows? And in short order, Mewtwo was the only one available as the months drew on. Not everyone was able to get Ex Raid passes and not everyone who did was able to get a really good Mewtwo. So, Pokémon Go is making a change. For just over one month, everyone's favorite Psychic-type warrior will be available in regular Legendary Raids. And here's how to beat it. RIP the Mewtwo we knew and loved. Pokémon has made a new Mewtwo, and it's harder and worse. Nice homage to the Legendary Birds there, but useless as Mewtwo movesets. Ugh. Mewtwo's catch rate has also been redueced from its previous, easier, Ex Raid levels to the same rate as other Legendary Raid Bosses, likely 2%. When will Mewtwo be in Legendary Raids? Will any bonuses be in effect? No way to tell until we get closer to the start date, and until we know what, if any other events will be live during Mewtwo's Raid window. Why is Mewtwo switching from Ex Raids to Legendary Raids? And there's more! On September 20 at 1:00 P.M. (PDT), Mewtwo will come to Raid Battles for the first time ever! Mewtwo has previously only been available to Trainers invited to EX Raids, but now all Trainers will be able to challenge the Legendary Psychic-type Pokémon until October 23 at 1:00 P.M. (PDT). So prepare yourself, and don't miss your opportunity to encounter this powerful Pokémon before it disappears! How many players do you need to beat Mewtwo? Mewtwo can be beaten by as few as three people with enough high-level counters. Most of the time that means high-level Tyranitar with Bite + Crunch movesets. It won't be fast and things could go wrong, though. So, if you're looking to maximize speed and ensure victory, having a slightly larger group is the best strategy. What are the best counters for Mewtwo? Tyranitar with Bite + Crunch (Bite + Stone Edge is also ok.). Snorlax with Lick + Hyper Beam. Lugia with Dragon Tail + Sky Attack. If you already have a Mewtwo, you can use it against other Mewtwo as well. Anything + Shadow Ball is best. What's a 100% perfect Mewtwo? No word yet and, since Pokémon Go hasn't announced anything, there's no point getting out hopes up. Yet. How do you catch Mewtwo? Mewtwo has a higher catch rate than most other Legendary Raid bosses. But you still have to hit it, and you still have to have odds high enough to catch it. ABC. Always be curving. Once you can nail Curve Ball every time, you'll get a 1.7x bonus every time. Max out your Psychic medal. It's an automatic 1.1x to 1.3x bonus to your catch, and every modifier matters. Play patient. Mewtwo, like any Raid boss, defends better than normal Pokémon, so wait until 3/4 of the way through their attack animation and then make your catch. You should hit just as the ring appears. Consistency counts. Aim for the smallest throw bonus you can nail every time. If that's Nice, it's nice. If that's Great or Excellent, even nicer. But better the bonus you get then one you miss, and every extra 1.3 to 2x counts. Go Golden: If you have Golden Razz Berries, use them. This is Mewtwo and the Golden Razz modifier, at 2.5x, is the best in the game. Keep hitting. 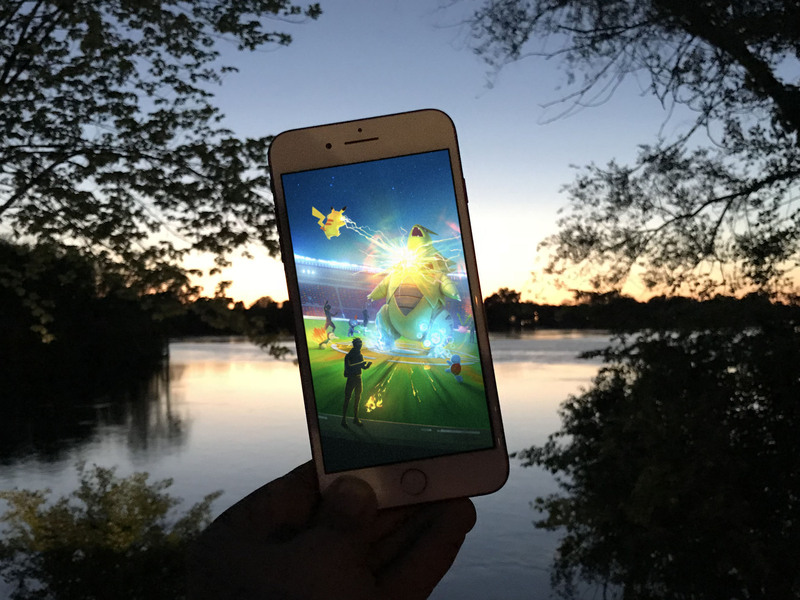 Your chance to catch with any one Premier Ball is low but your chance to catch with multiple Premier Ball hits over multiple Raids becomes close to a statistical sure thing. So never give up! What's the best Moveset for Mewtwo? Psycho Cut + Shadow Ball... but it's now Legacy and can no longer be obtained in the game. Ugh. Mewtwo has been available before, right? Right. Mewtwo was the first — and so far only — Ex Raid Boss introduced into Pokémon Go following last year's Japanese event. It's been an Ex Raid exclusive... until now. Mewtwo is a Legendary Pokémon from Gen 1. It's also one of the best attackers in the game — even after Pokémon Go reduced (nerfed) its stats. Any Mewtwo or Legendary Raid questions? If you have any questions about Mewtwo or Legendary Raids, drop them in the comments below!